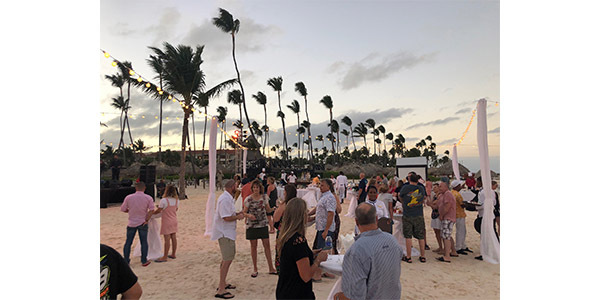 More than 800 guests, including shop owners, technicians, counter professionals and suppliers, enjoyed four nights at the Secrets Royal Beach resort in Punta Cana, Dominican Republic, as part of The Network’s 2019 Customer Expo. “As always, our strategic manufacturer partners really stepped up to make this year’s customer expo one of our biggest and best yet, with unprecedented participation from shops nationwide, says David Prater, president of the Network. “The enthusiasm was appealing at every level of distribution, from our vendor partners to our members and their customers. 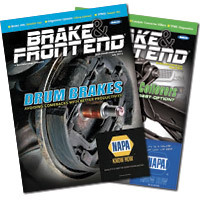 “I believe that these types of experiences are a testament to the commitment of our service-dealer customers to our warehouse distributors,” said Tristan Taylor, president of Tri-State Enterprises. For this year’s gathering, The Network hosted the welcome expo directly on the beach with 16 supplier booths for attendees to visit during the event. The expo also included food and drinks, along with a live band. Attendance was sparked by the incredible resort and location, says The Network. Secrets Royal Beach included an all-inclusive atmosphere, along with five restaurants, nightly entertainment and wide variety of excursions that afforded the guests an opportunity to take part in activities such as snorkeling, zip lining and swimming with dolphins.